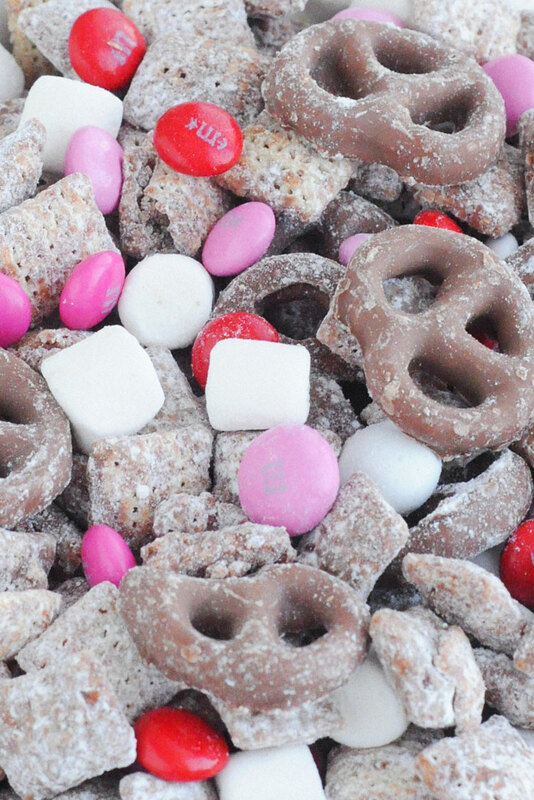 Valentine’s Day is a day of love and sweet treats. 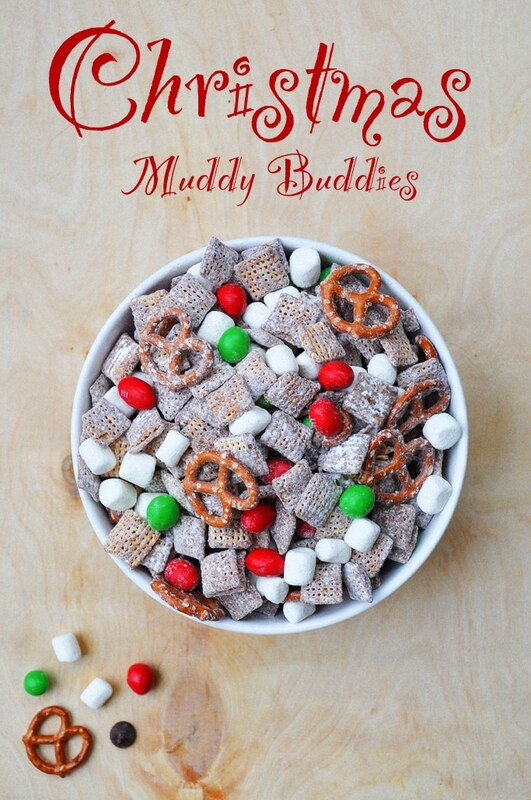 I decided to make for Valentine’s a Gluten-Free Muddy Buddy for my loved ones. 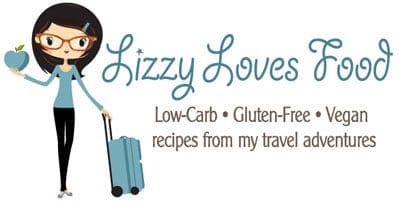 My buddy recipes are always a hit even though I make the biggest mess in the kitchen. When love is in the air on February 14 what’s a little mess in the kitchen? This got me thinking why February 14th? Is love not everyday? So I did a little digging to find out the origin of February 14. The legend of Valentine’s Day begins in Rome with a Priest named Valentine. He is believed to have help prisoners escape the torture from the Romans. The Church then decided to celebrate St Valentine’s in the middle of February in an effort to “Christianize” the pagan celebration of Lupercalia. A very violent celebration of it’s time that was celebrated on February 15. Today we have a $18.2 billion dollar industry in one day. The average person will spend $137.00 on Valentine’s Day for there special someone. 1. 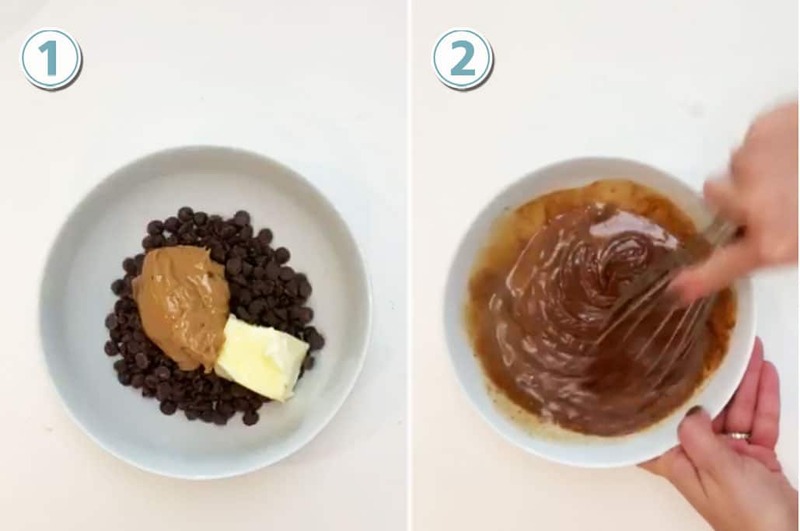 Use 1-quart microwavable bowl, microwave the chocolate chips, peanut butter and butter uncovered on High for 1 minute, then stir. 2. Microwave about 30 seconds longer or until mixture can be stirred smooth. Stir in vanilla. 3. 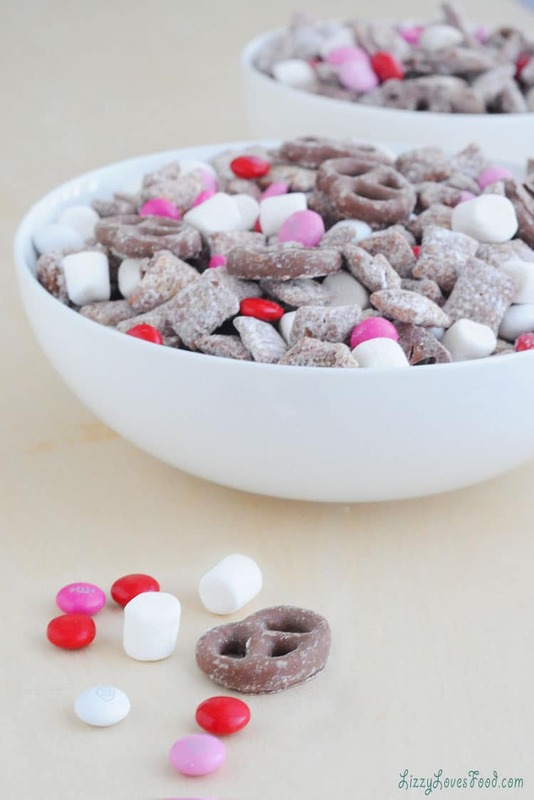 Into large bowl, pour one box cereal and pour mixture over cereal, stirring until evenly coated. 4. 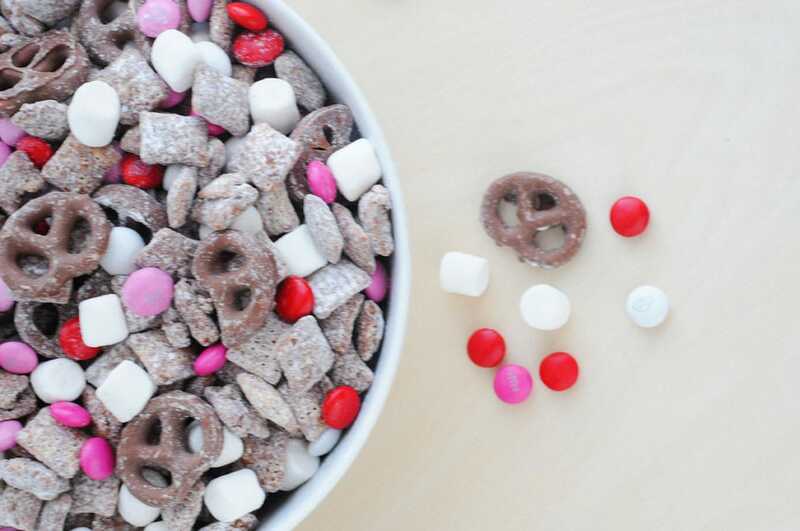 Add powdered sugar into a large plastic bowl with a lid and shack it around until all the Chex Mix are all coated. 6. Spread on waxed paper to cool. Store in airtight container in refrigerator. White chocolate can be used instead of milk chocolate chips for a different twist. 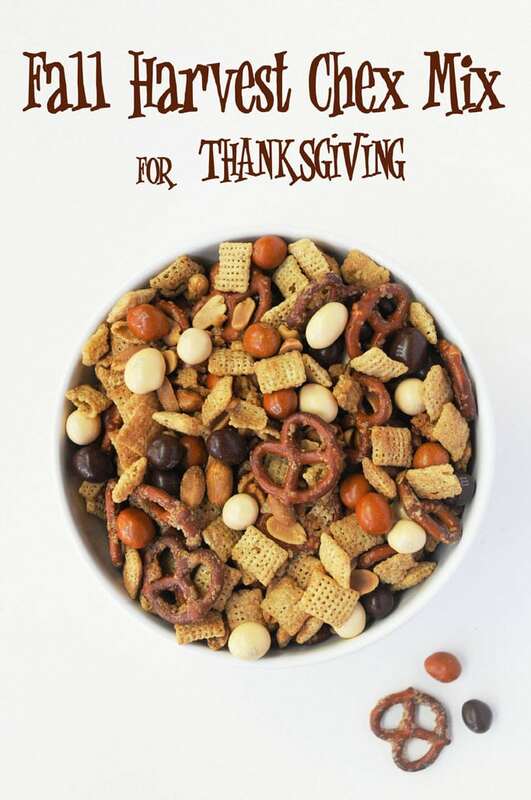 I always use the Gluten-Free Chex Mix cereal but they do have different types, such as; corn wheat, and rice. 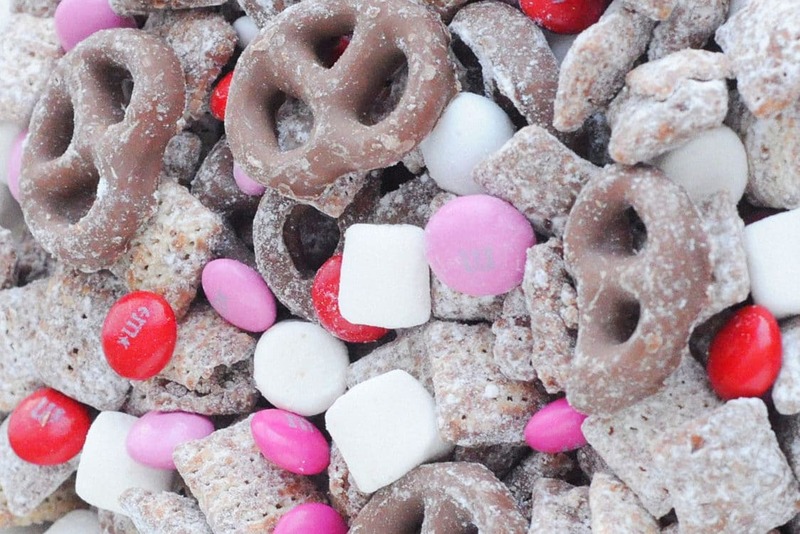 I have changed the candy that mix into the Muddy Buddy. Usually I will buy what the season has for candy, that way they are a special occasion treat instead a regular treat that is not so special. 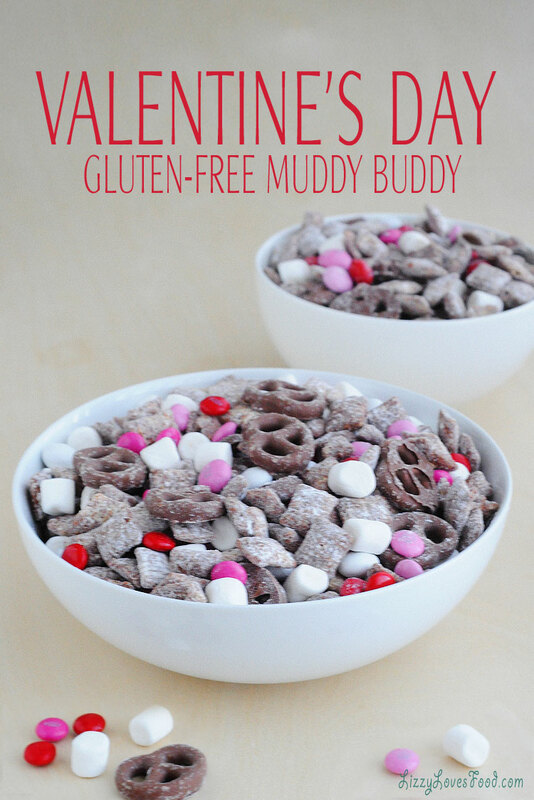 Gluten-free Valentine’s Muddy Buddy Recipe is quick and easy to make for everyone to enjoy on Valentine’s Day. Use 1-quart microwavable bowl, microwave the chocolate chips, peanut butter and butter uncovered on High for 1 minute, then stir. Microwave about 30 seconds longer or until mixture can be stirred smooth. Stir in vanilla. 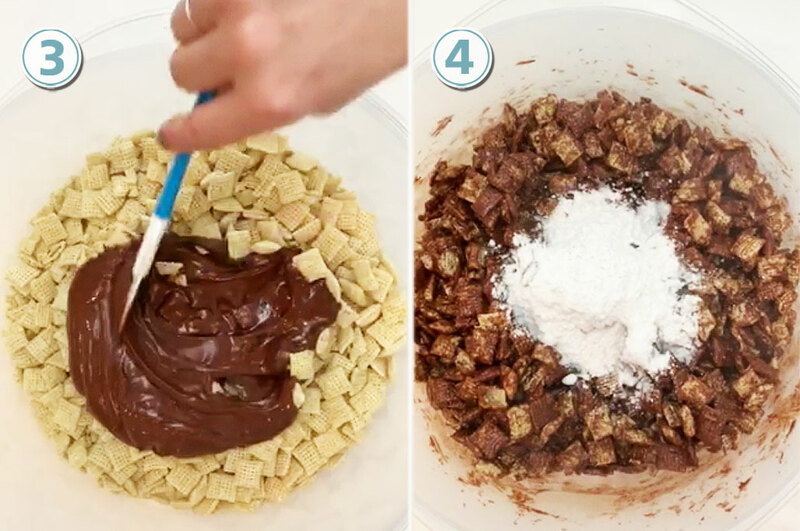 Into large bowl, pour one box cereal and pour mixture over cereal, stirring until evenly coated. 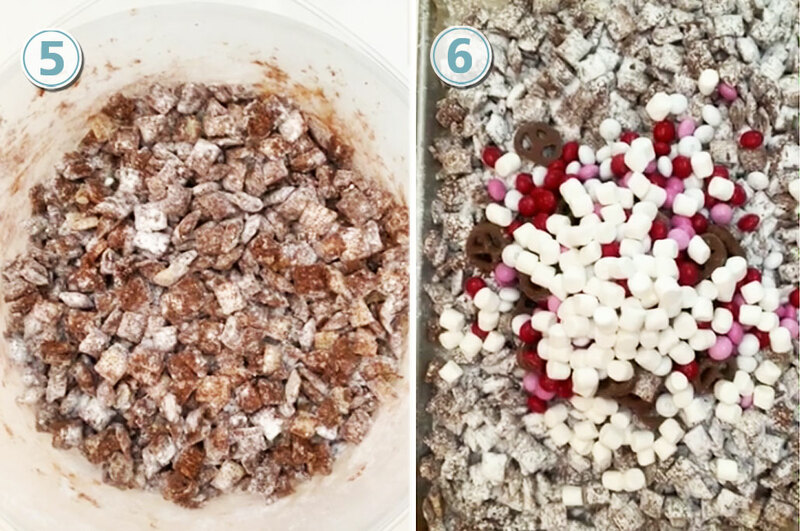 Add powdered sugar into a large plastic bowl with a lid and shack it around until all the Chex Mix are all coated. Add powdered sugar and seal, shake until well coated. Usually I will buy what the season has for candy, that way they are a special occasion treat instead a regular treat that is not so special.